Dr M Satish Kumar is a specialist in Indian and South Asian development studies and is currently Director of the Queen’s Academy in India and Senior Lecturer at the School of Geography, Archaeology and Paleoecology at Queen’s University Belfast (QUB). He was awarded a Commonwealth Academic Fellowship in 1997 and spent one year at Fitzwilliam College, University of Cambridge. 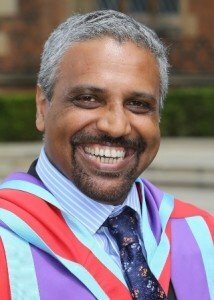 Satish has worked in the higher education sector for 26 years and has dedicated the last 14 years of his career to the development of QUB’s internationalisation agenda, with a particular emphasis on developing research links with universities in India. Additionally, he is engaged in UK-wide initiatives to develop collaborative partnerships between the two countries.